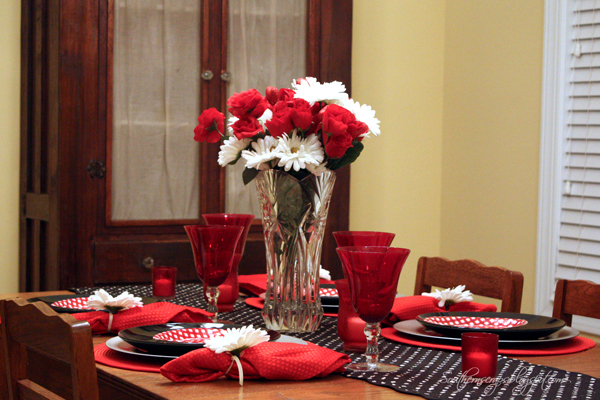 Remember the black and white tablescape? 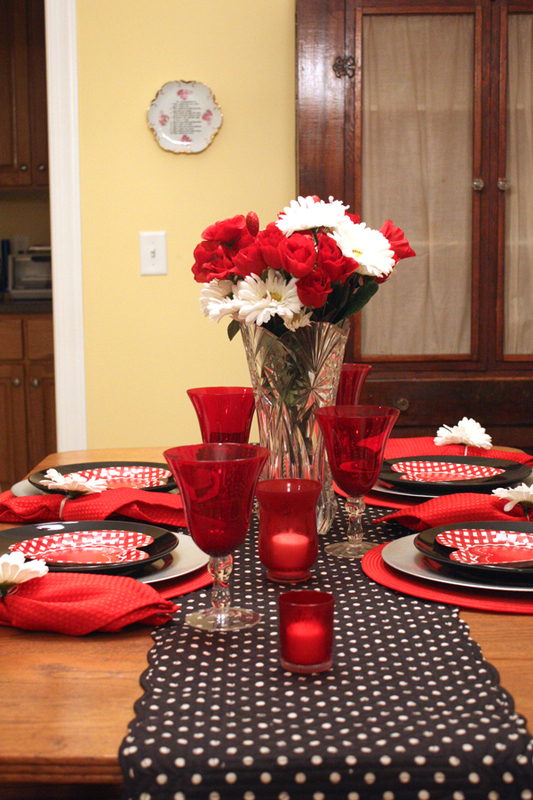 With just a few quick changes and additions, I had the table ready for Valentine's Day. 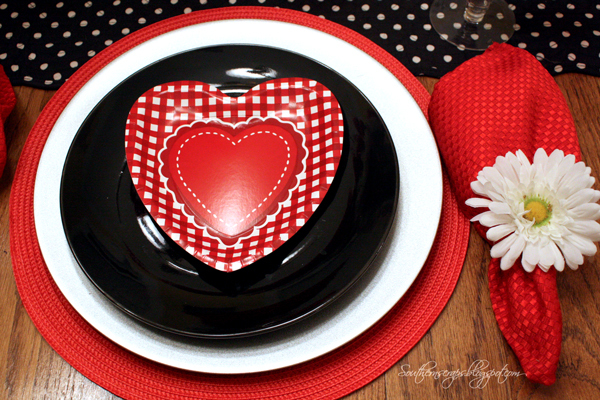 I replaced the white place mats with red ones and the white plates with these cute heart shape paper plates (97 cents for 6 at Wal-mart). I swapped the white napkins for red ones. 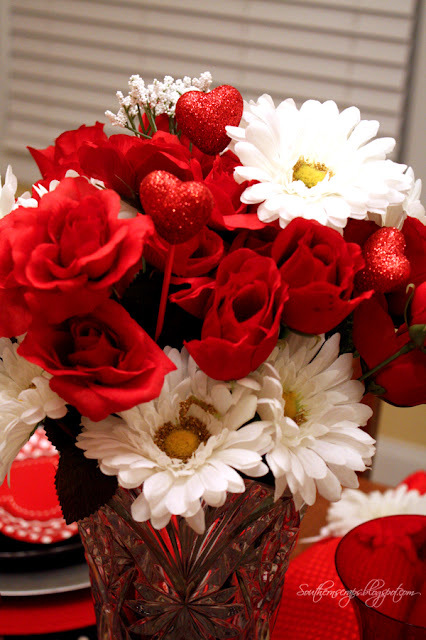 I kept the white flower bouquet centerpiece and added red roses and glitter heart picks to it. I changed the smoky colored glasses out with red ones. And the table runner- it's reversible so I just flipped it over! I pulled out some red candles holders that were used a few Christmases back. I'm all done and ready for a sweet dinner with my hubby. I hope you have lots of time with loved ones today. How pretty! 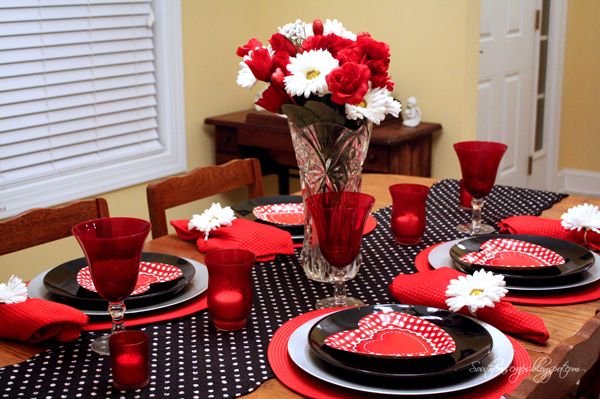 Love the gingham plates and the polka dot runner, I crazy for both. Thanks for sharing. Visting from BNOP.